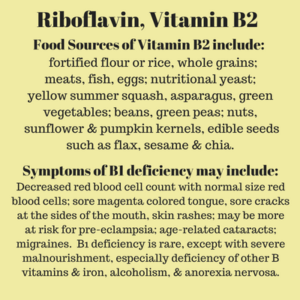 Riboflavin, vitamin B2, food sources and possible symptoms of deficiency. 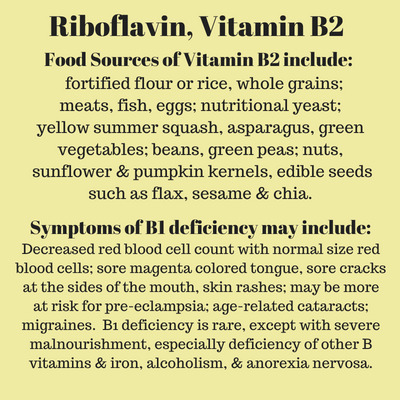 Deficiencies of other B vitamins can cause a deficiency of riboflavin and vice versa. Riboflavin is involved in the metabolism of vitamin B6, niacin, folic acid and iron. Riboflavin is also needed for metabolism of drugs and toxins and is essential for releasing energy from food. 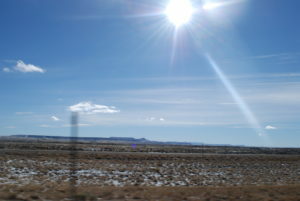 Alcoholics, anorexics, and people low in other B vitamins are at risk of deficiency but otherwise deficiency is rare. Riboflavin is in many foods. Deficiency symptoms may include decreased red blood cell count with normal sized red blood cells; sore throat; magenta/red inflamed tongue, mouth, and throat; sore cracks at the sides of the mouth; and skin rashes. Deficiency may increase risk of pre-eclampsia and age related cataracts. Supplemental riboflavin was found helpful for preventing migraines. Fortified flour & cereal, whole grains, meats, fish, milk, eggs, meat, fish, beans, nuts, and seeds, nutritional yeast flakes, asparagus, broccoli, yellow summer squash, spinach. 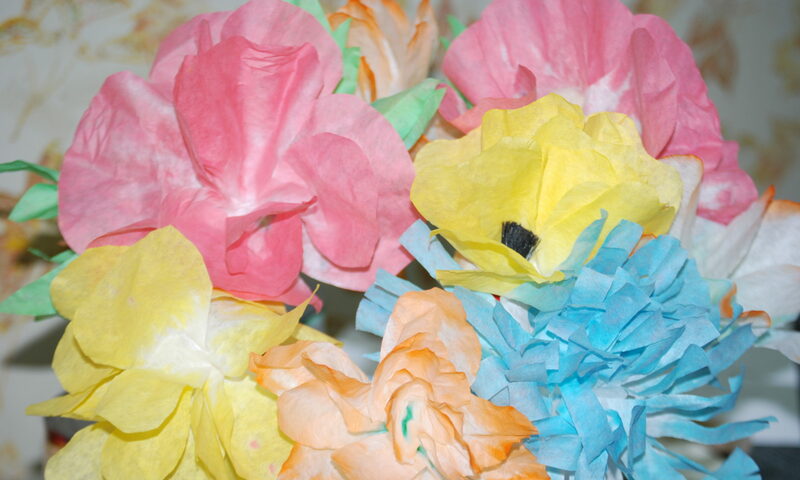 B vitamins and vitamin C are water soluble, so overdose is rare. Deficiency is more common because the nutrients are not stored like the fat soluble nutrients: A, D, E, and K; and water soluble vitamins are not conserved by the kidneys like the electrolyte minerals: calcium, sodium, magnesium, and potassium. Riboflavin is a bright yellow nutrient and when taking higher doses in supplements may cause a bright yellow colored urine – it is non-toxic and would be less noticeable, a paler shade of yellow, when plenty of water is also being drunk throughout the day. Any time dehydration is present the color of the urine will be a darker shade and is a good reminder to try to drink plenty of water – 6-10 glasses roughly depending on body size, and amount of exercise performed and the level of heat or humidity in the environment.